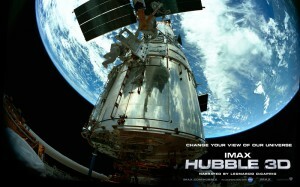 Hubble 3D IMAX is an IMAX and Warner Bros. Pictures production, in cooperation with National Aeronautics and Space Administration. March 2010. 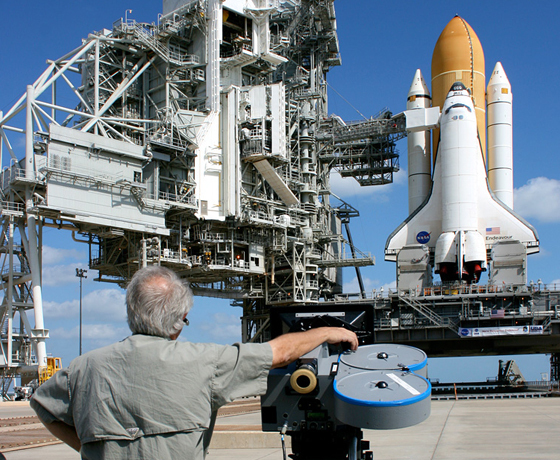 We had to have a reliable support system under our space cameras when we were shooting training footage in the NASA simulators – and that's where my trusty favorite camera support – OConnor came in. 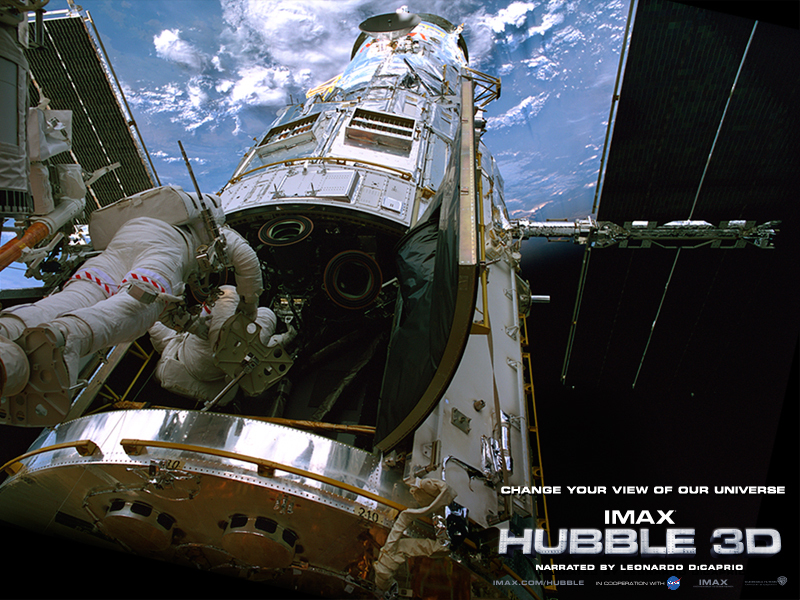 HUBBLE 3D IMAX, narrated by Leonardo DeCaprio, takes moviegoers on an unprecedented voyage through distant galaxies to explore the grandeur and mystery of our celestial surroundings. Audiences experience never-before-seen 3D flights through the farthest reaches of the universe, and accompany spacewalking astronauts on some of the most difficult and important endeavors in NASA’s history. 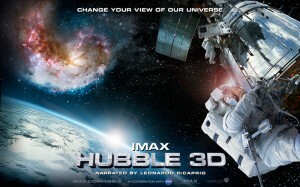 A joint venture between IMAX and Warner Bros. Pictures, the documentary was made with the cooperation of the National Aeronautics and Space Administration (NASA). Hubble 3D was about 20 years in the making. We actually filmed the original deploy of the telescope in 1990 and the first repair mission in 1993 for a film called Destiny in Space, but we were able to use some of that footage, converting it into 3D, in this film. 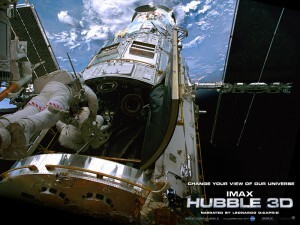 The film tells the life story of Hubble from its launch in 1990 to the discovery of the mirror flaw, to the repair mission that corrected the flaw by installing a cosmic-sized “contact lens” in the telescope, to some of the discoveries made by the telescope, to the cancellation and ultimate re-instatement of the final service mission that flew in May of 2009 with our IMAX 3D Cargo Bay camera. The final of the film is a journey to near the edge of the known universe, traveling at trillions of miles-per-second, as we zoom past thousands of galaxies spread out across the universe. We filmed the crew’s training in the big water tank in Houston and then spent some time with them at the Space Center in Florida before the launch. On launch day, we had a Super Techno Crane at astronaut walk out, when the crew gets on the bus to go to the pad. That’s a one-shot deal and doing a crane shot is always risky when you don’t have a take two, but the crew was great – both film and astronauts, and we were able to pull it off. We also shot during crew suit up prior to launch. We had five cameras shooting the launch; three were on remote starts that were triggered by the launch computer system. One camera was in a “blast box” bolted to the launch pad surface, about 200 feet from the orbiter’s main engines. The other camera was in another blast enclosure up on the Rotating Service Structure of the launch tower looking down at the vehicle as it lifted off. Our third remote camera was on another launch pad just over two miles to the south. 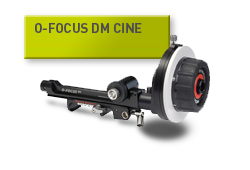 One of the other two cameras was operated by David Douglas, a long time IMAX DP, and that camera was on the Super Techno Crane at the press site shooting press reactions. The other camera was with me at the VIP site to cover the astronomers and other people involved in the project as they watched the launch. My camera was on a Chapman Olympian with a jib arm to give us both horizontal and vertical mobility around the viewing stands. Besides doing the ground shooting, which was the launch preparation footage, the launch, and crew training, I was responsible for training the astronauts for all aspects of shooting in space during the mission. Even though the astronauts couldn’t use tripods in space, we had to have a reliable support system under our space cameras when we were shooting training footage in the NASA simulators – and that’s where my trusty favorite camera support – OConnor came in. We had about 25 hours of training time to turn the astronauts into filmmakers. They had to do everything in orbit that a regular ground-based film crew would do. I also worked closely with our director, Toni Myers and the astronauts to develop our shot lists for the eight minutes of IMAX film in the cargo bay. During the flight I was stationed in mission control at the Johnson Space Center to be ready to answer questions from the crew and flight controllers regarding our cameras and to re-plan when things didn’t go the way we expected. The cargo bay camera carried 5,400 feet of film in a non-reloadable container. This gave the astronauts eight minutes of film to shoot. For a lot of the shooting at the Kennedy Space Center I used the IMAX 30 perf 3D camera that we developed for the International Space Station film that we shot in 1998-2001. It is a single-strip camera that shoots side-by-side stereo (2×15 perf frame) images on a single piece of 65mm stock, thus the 30 perf. Even though it weighs 90 pounds, it is much lighter than the 260 pound dual strip camera, so it allowed us to move much quicker, almost a run-and-gun shooting style. 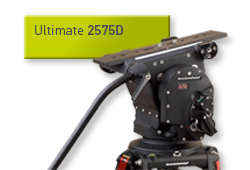 The OConnor 2575 head is sturdy enough to stabilize the camera, strong enough to balance it, yet light enough to be easily manageable when shooting with a small crew. When shooting around NASA and the launch support systems at the Kennedy Space Center, it is on a “non-interference” basis, so we had to be able to pick up and move really quickly. Other heads, while capable of supporting the 90-plus pound IMAX cameras, are heavier and more cumbersome than the OConnor. The fluid adjustments on the 2575 make it easy to make quick changes as the shot dictates, and the locking mechanism is always positive, which is especially comforting when you are working around a billion dollar space shuttle and millions of dollars of flight hardware! I really like the tilt range of the head as well. 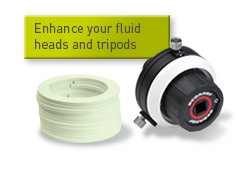 I’ve used OConnor heads throughout my career, I swear by them. 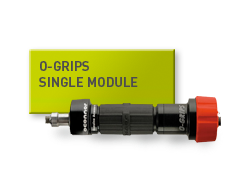 They are durable, reliable, and consistent. I’ve shot with them in the Arctic filming polar bears (the IMAX filmBears) and in equatorial Africa (Jane Goodall’s Wild Chimpanzees, Pulse-A Stomp Odyssey). I’ve never had an issue in either environment. 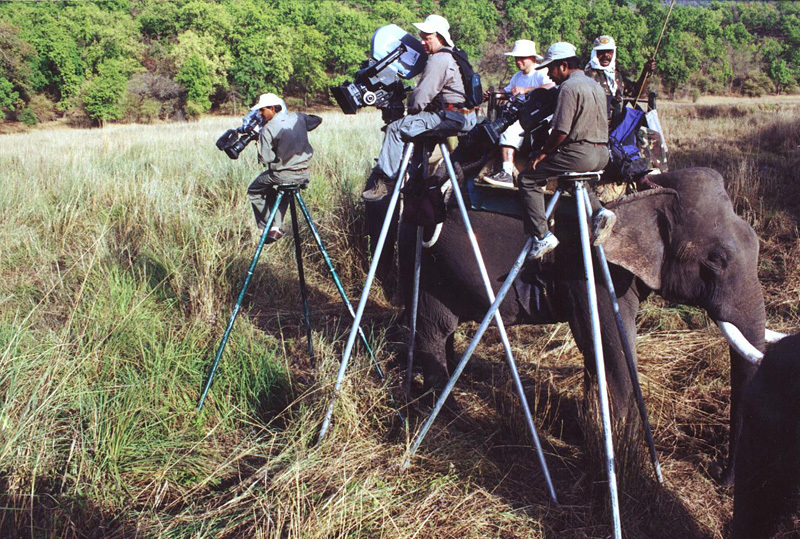 I’ve used the 2575 on “elephant tripods” (12′ high custom built tripods that are elephant height) while filming wild tigers in the jungles of India. 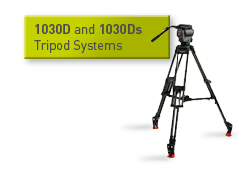 These tripods are made of heavy-duty aluminum poles anywhere from 8′ to 12′ in length, with a platform “seat” on top that allowed me to sit on top of the tripod with the 2575 mounted to the seat. We would use elephants as our mode of transportation into the jungles – they’re great all-terrain vehicles – and they work for peanuts! When we found the tigers, we would set up the tripod without getting off the elephant. 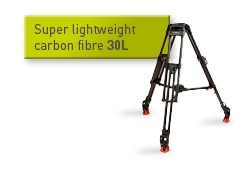 I would carefully move over to the tripod and set up the head and the camera. You never want to be on the ground with the tigers – one of two things would happen – either the tiger would get spooked and run away or would eat you. Born and raised in Paris, Arkansas, he is a graduate of the Brooks Institute of Photography. 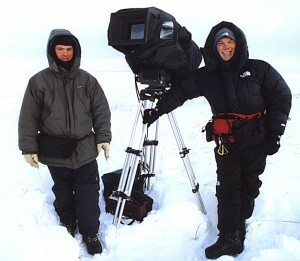 His career has always focused on large-format motion picture production. Neihouse was the first to fly into the newly created crater of Mount St. Helens as director of photography on The Eruption of Mount St. Helens, the first IMAX film to be nominated for an Academy Award. He has shot over 35 large format films. His work on Ocean Oasis about the Baja Peninsula and Sea of Cortez won the Best Feature Film award at the 2001 Jackson Hole Wild Life Film Festival and a Panda Award (the Green Oscars) from the WildScreen Film Festival in Bristol, England. Among his other awards is the Giant Screen Cinema Association Award for Best Cinematography as co-director, director of photography and astronaut-training manager for the 2002 IMAX 3D film Space Station 3D.